After losing Friday’s game five 14-7 to Power Outage, Allen “Woodrow” Smith and the Pirates clinched the BVI Softball Association Juliette Penn League title with Sunday night’s 10-2 triumph. The victory gave Smith something he has never done in more than 30 years of playing, although he has played on some of the best teams and with some of the best players—repeat as a champion. Smith said on Sunday, they played errorless to seal the title. The Pirates opened the season at 4-0, had some issues as people traveled to different tournaments and ended the season in second place behind Power Outage, but Smith said they were still focused. Smith said the league is suffering and the interest in the sport isn’t what it used to be even five years ago. He said that the BVI Softball Association has to do some things to bring back the interest including offering incentives. 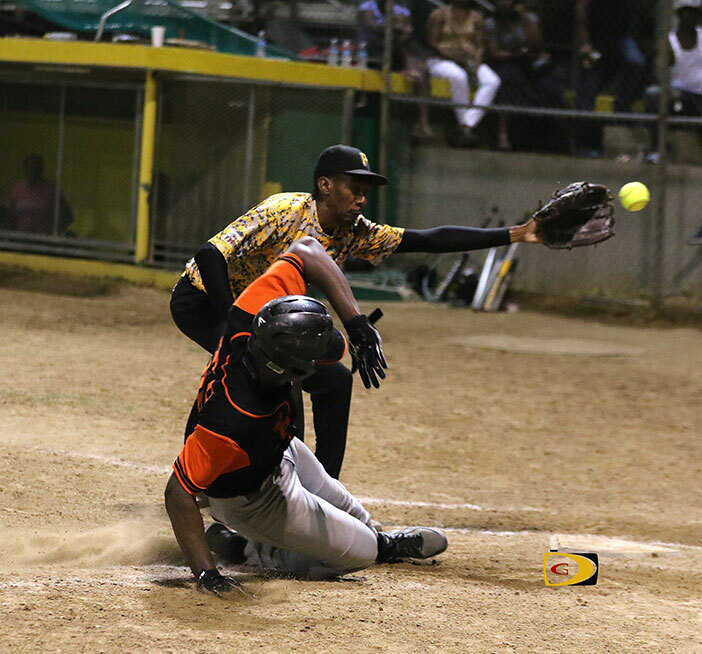 During the opening of the E. Walwyn Brewley Softball Park on Friday, Brewley called for the sport to be in schools starting at the primary level. Smith said while that would be a plus, he said there’s a need for a Jr. or B League, nothing that the sport reached its peak when they had such a league. Smith noted that attendance is down and he has spoken to several fans,, as many people like softball and if he’s still pitching. He noted that games start too late and this is among turnoffs. In women’s play, the Hawks overpowered That’s Your Problem, 20-16, to win the Women’s Division, 4-1.